The world of research really does go beserk every time a new Dylan album hits the fandom. Last time it was those gang bosses in Japan. This time it is a Civil War poet from the 19th Century. The all knowing, all seeing Google eyes were opened wide to the wonder of that delicate but untidy posy of words from the track ‘When The Deal Goes Down’: ‘frailer than the flowers’; such posy having previously been presented by one Henry Timrod, a native from Charleston, South Carolina, who wrote poems about the Civil War and who died in 1867 at the age of 39. There have been allegations of skulduggery, theft and dirty tricks with all kinds of stories being planted in the press, including one that the very title of the album ‘Modern Times’ was indeed chosen because it is an anagram of ‘Henry Timrod’. Well actually it isn’t, and never could be, but it’s fun to watch speculation, presumption and fancification in action. And if it is speculation, presumption and fancification that turns you on, then two (or any multiplicand hereof) can play at that game. If you have been following my thought processes on ‘Modern Times’ carefully (or even at all), you will know that I have likened a discernible (to me) theme of the album to the writings of John Mitlon, and in particular to his epic poem ‘Paradise Lost’ concerning the Christian Creation Myth. In consideration of this, the very first line of ‘Nettie Moore has ‘Lost John’s sitting on a railroad track’. If you take this a little further that could be Paradise ‘Lost John’ Milton. And if this speculation became even more presumptious and fanciful, then a reference to John Milton’s biography would show that Milton wrote ‘Paradise Lost’ when he was totally blind. The reason for such blindness was, as the poet himself acknowledged, his close scrutiny of too much papers work upon which the likes of Homer and Virgil had quilled their masterworks. Bringing this physical state of blindness into the context of the final line of the chorus of ‘Nettie Moore’, you could sense that, about ‘Paradise Lost’, John Milton would say ‘The world had gone black before my eyes’. And what cannot be mistaken is the constant plod, plod, plod of the beat so prominent throughgout this song: like the sound of a population on the march; or of humanity taking one step at a time. So ‘midnight’ runs into ‘mornin’’ and the ‘rain’ that follows the train in one song turns to ‘hail’ in another. The identity of the railroad for the midnight train could be the Southern Railway and the spot where Lost John is sitting could be that very location where the Southern crosses the Mississipi ‘Yellow Dog’ railroad. Who knows, but an image can be formed from these interlinking lines. I can’t eat all that stuff in a singler bite’. Did the rose that poked through his clothes in ‘When The Deal Goes Down’ tear his pants in ‘Nettie Moore’ and did he consequently have to wear those gloves in ‘Thunder On The Mountain’? Both hands can be full of grease’. ‘Gonna leave a greasy trail’. What kind of being leaves a trail? A snake perhaps? ‘The sun is strong I’m standin the light’. Then he took her off to work her life away’. And the gentle voice of charming Nettie Moor’. ‘The woman I’m a lovin, she rules my heart. No knife could ever cut our love apart’. But there is a separation in the song, and it most poignantly occurs between the word ‘then’ and the the words ‘and ever shall’ in the chorus of the song. There is just one beat and a split second space between those words but just as William Blake saw a World in a Grain of Sand and a Heaven in a Wild Flower’, I sense an overwhelming degree of separation and division occurring within that slight lapse of time between the words ‘then’ and ‘and ever shall’. 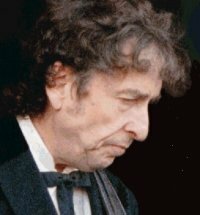 To understand and fully apreciate that degree of separation, and to consequently be struck down by Dylan’s words and the way that he sings them, you have to fully comprehend, if that is possible, what was ‘then’ i.e the state or condition that prevailed at that previous time before the division or separation occurred. Her crystal mirror holds, unite their streams. Led on the eternal Spring’. Wow, what a place! Milton would have made a great publicist for a travel agency advertising far away places. Who could resist such a paradise island? In wood or wilderness, forest or den’. Stop, stop! This is all too much for someone weighed down with the cynical burden of modern times. There could never have been a place that existed or people who lived and loved like that. It is beyond comprehension. Milton does his best to describe it but, in reality, such a place of perfection defies any written word. Of course, the situation that exsited ‘then’ in the Garden of Eden was before Satan came along with his harmonious tongue and leaving a greasy trail. The story goes that Eve was tricked by Satan to eat the forbidden fruit whereupn the pair lost their innocence, realised that they were naked and became clothed. An explanation perhaps for the images of ‘eating’ and of ‘clothing’ as themes to certain songs from the album. One flesh; to lose thee were to lose myself’. And so the separation occurs, not between man and woman but between man and God whereupon man is banished from Paradise and left to toil in strife for the rest of is life. But just remember what he turned down to be with this woman: the magnificence of the Garden of Eden that Milton endeavoured to describe but to this scribe, well I just couldn’t find the right adjectives. But that was ‘then’; and that is what I sense in that short space between the words ‘then’ and the words ‘and ever shall’ in the chorus of Nettie Moore an overwhelming, unimaginable, indescribable separation and consequent division. There is no one left in the Garden of Eden because the gardeners have gone: gone to travel the world in toil and strife. It matters not to me that the line is addressed to Nettie Moore, hers is as a good a name as any to use as a metaphor for the pleasure and the innocence of what was. And what’s in a name anyway? It is the ‘then’ and the now, and what occurred in between, which, in my view, is of the utmost importance. The story doesn’t actually end with Adam and Eve being banished from Paradise for ever, for God proposes that if they play their cards right, they could return to a kind of paradise, but not an earthy one. So Adam, whilst maintaining his loyalty to Eve, is thankful for what his God has given to him and so he lifts ‘the voice of praise’. I wish to God that it were night’. Seem somewhat conflicting. If the sun is strong and you are standing in the light, why on earth would you wish it to be night? Well, you have to remember that, for the person who is singing this song, the world has gone black before his eyes. At night the world goes black before everyone’s eyes and in that sense there prevails for everyone a state of equality and perhaps in that equality there can be a return to how things were ‘then’. But some bright spark will eventually turn on an electric light and we will all be able to see much more clearly, won’t we? Speculation, presumption, and fancification? Well, obviously. Modern Times on bobdylan.com click here.